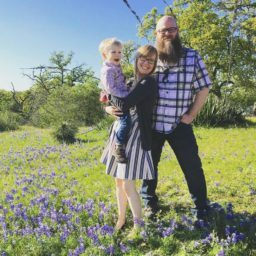 Not just another “mom” blog. I don’t know if it’s the excess of school supply displays or the training I attended last week, but I have been thinking a lot about back to school. For me, it’s a mix of excitement and dread. Why, you might ask? Do you hate your job? February is said to be one of the toughest months for behavior in middle school. It’s rather rough on English teachers too. One word: TELPAS. “Texas English Language Proficiency Assessment System (TELPAS) to assess the progress that limited English proficient (LEP) students make in learning the English language.” -TEA’s website. 30 students (of 150) are missing a reading homework assignment. 20 students needed to finish a test or other assignment. 30+ TELPAS writing samples to plan and collect. 2 students haven’t read a single. Book. All. Year. 1 student is acting like he is given up on school completely and wants to go back to our alternative campus. One student called me a nasty name. So, I emailed all 30 parents. So, I handed out advisory passes. So, I called parents and set up tutorials. I stayed late and arrived early. So, I held on tightly to the student pushing away. So, I attended a 1 hour parent conference and got home really late. So, I designed lessons to let them talk productively and set high expectations. But I still broke down crying twice this week after school. But I still contemplated quitting or changing professions. One girl came ticked off and trying to push my buttons. I stayed late to work with her and she left her book at home. She argued. She made excuses. Another Boy showed up early each morning this week, book in hand. And despite his mom taking his phone away, (my fault, of course) still managed a smile. By the end of the week he had read two books and completed the assigned homework. The boy I told you about, the one trying to push away, he might just be my favorite kid. I don’t hate my job; I love it. I just can’t ever do enough – There is always more to do – I always fall short – I won’t be teacher of the year – I work best with the broken. My victories can’t be easily measured. But when they happen, they will be celebrated. It’s the end of the week, and I’m headed home. Then, you start a new year. Oh for the love of school supplies! New kids. Fresh starts. New challenges, but even better… New victories. It’s a love/hate relationship. But I wouldn’t show up if the love part didn’t out weigh that hate. Yet, I still think Walmart starts selling school supplies over a month early just to make me cringe!!! Thank you. This will be my 4th year teaching. I kept feeling guilty because I dread the start of the year. But apparently it is normal! Reading about your experience encouraged me.